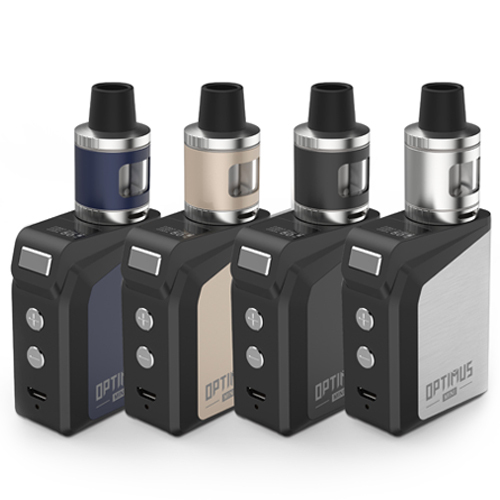 Optimus Mini is an exquisitely designed, small and very portable electronic cigarette product. A LED screen is added to the top of the device, direct display and easy operation. A small body with 2000 mAh battery, provides you long time vaping experience. 4. Wait a few seconds for us to display the validation result. *Description: Please write the problem details as much as possible. Never miss another new product information. Please keep our products out of reach of children. Our products are only intended for committed smokers of legal smoking age and not recommended for use by young people, non-smokers, pregnant or breast-feeding women, or persons who are allergic or sensitive to nicotine as our products may be used with E-liquid that contains nicotine and nicotine is an addictive chemical. For people with adverse reaction after using our products, it is recommended to use the e-juice with lower nicotine content or no nicotine.